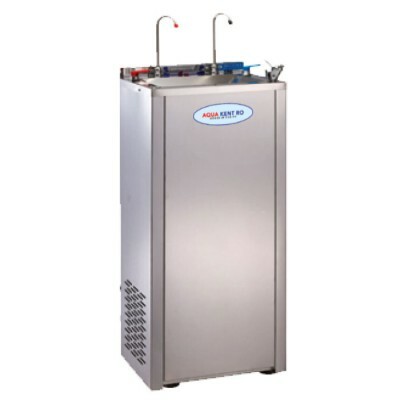 Connected to the water mains, constant quality of the Aqua Kent Economic Cold and Cold Water Cooler is guaranteed over time, requiring extremely limited maintenance. The direct connection to water mains enables hygiene to be maximise, preventing water from becoming stagnant. The Stainless Steel Economic Hot and Cold Water Cooler Includes glass filler faucets for hot and cold water, easing the versability to either drink directly from the fountain or fill a water bottle. Positioned in the base of the unit for easy access, the built-in water filter provides the option for easy purification of incoming water. Aqua Kent 10" filter and purification cartridges are available for purchase from us. *Filter cartridges are included – Polypropylene sediment filter and granular activated carbon filter. High capacity with cold and hot temperature controller water dispenser. Includes glass and bottle filler faucets. Suitable for heavy duty commercial and industrial use and public areas outdoors. Includes polypropylene pre-sediment and granular activated carbon filter cartridges.